I am here with a simple pattern card using image from The Paper shelter - karate girl. Its a very simple and easy card. 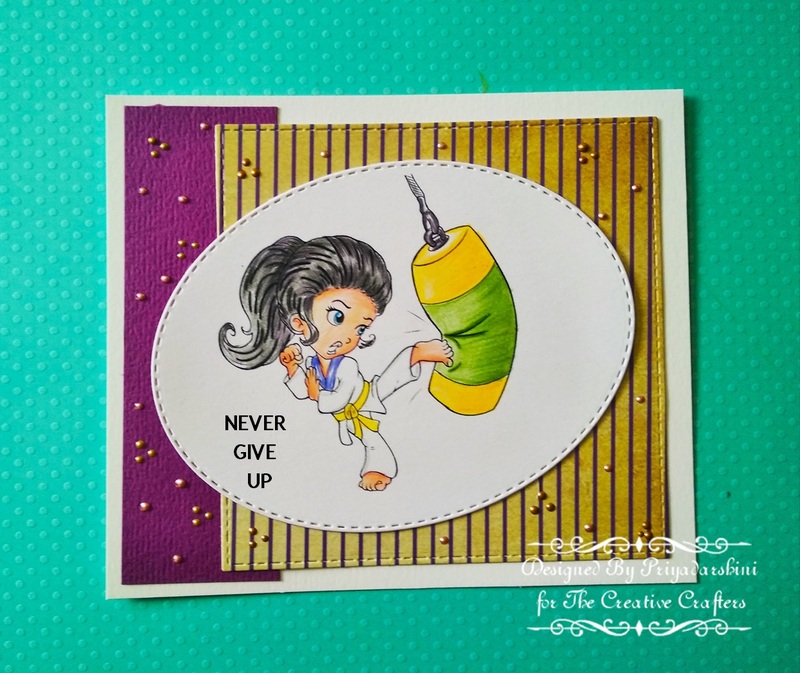 I made this a motivational card with a sentiment that says never give up. First I printed out the image, coloured and die cut. To finish the card, I added some pattern papers and some liquid pearls. Its a CAS card and the image is my main focus here. I added this to a side fold note card to finish my card.